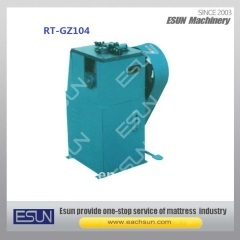 It is mainly used for cold knotting springs used in mattresses and sofas. 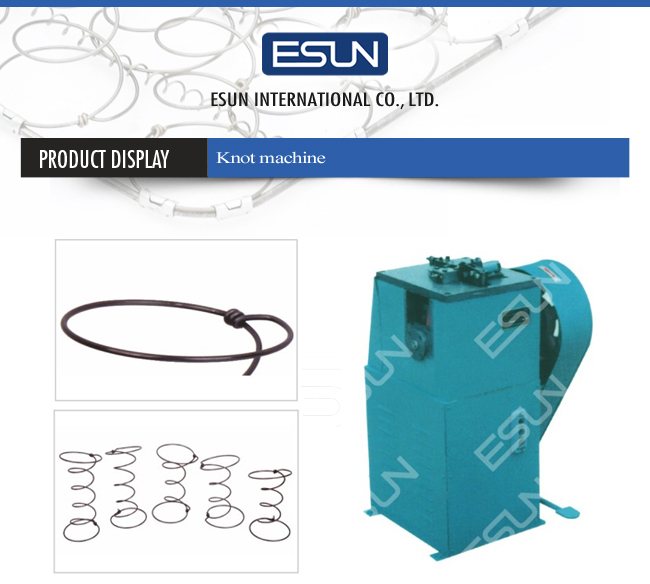 It is therefore high in productivity and stable in knotting and Iow in power consumption. 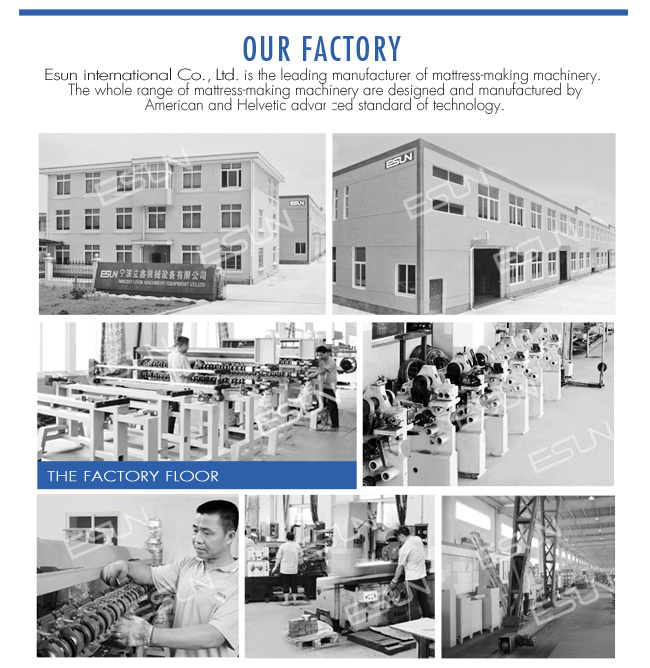 2:Product sourcing: Cooperating with 100 suppliers, our 5 plants can manufacture 108 types of machines and 28 types of accessories. 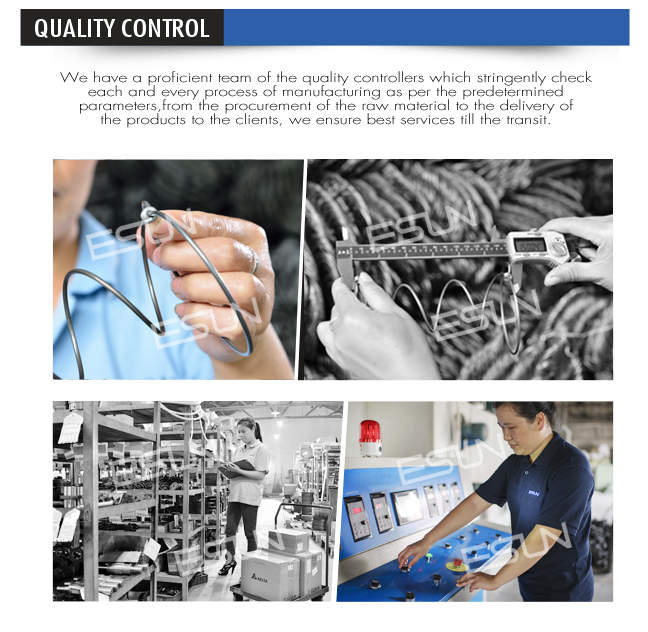 4:Global business: With 20years of experience, our products are sold to 100 countries and regions and highly recognized by customers. 5:Patent owner: To after clients high performance solutions, we keep investing on new products development and acquaired 16 patents.